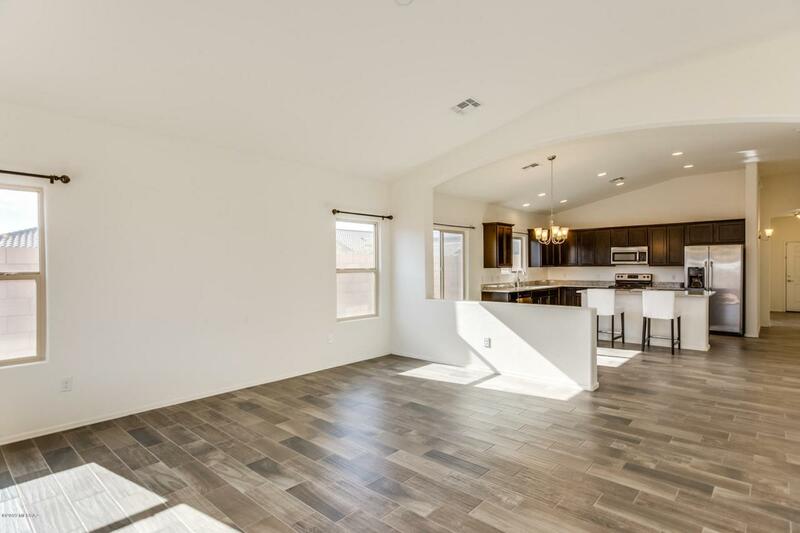 Saguaro Bloom's popular Energy Star Rated Prato plan built in 2017 with 4 beds, 3 bath (2219 sqft). 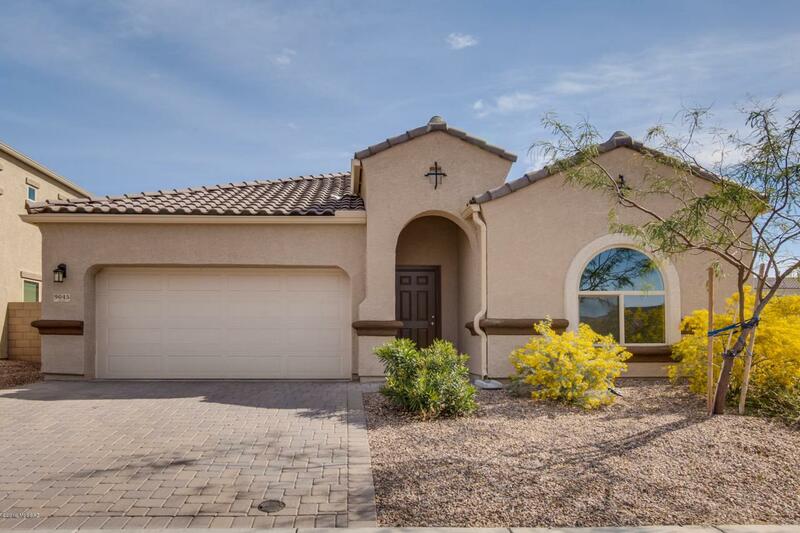 This split floor plan is located on a premium corner lot with mountain views! Open concept with 11ft vaulted ceilings and wood plank ceramic tile throughout main living area ($15,000 upgrade). This home is complete with an entertainment kitchen open to the dining area and great room. 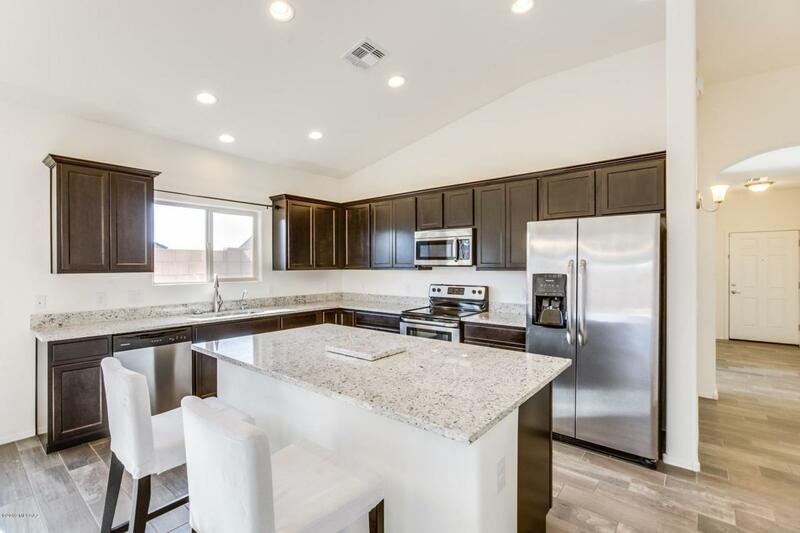 Kitchen boasts new granite counters, large island & stainless appliances (kitchen plumbed for gas). Master bath has double vanity, large shower & walk in closet. Bonus room can be a dining space, media room, play area or office space. 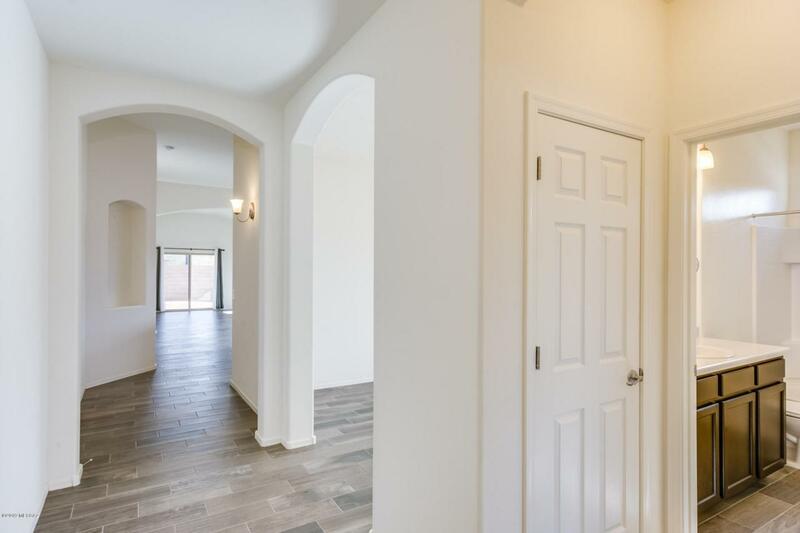 Add'l features include wiring for ceiling fans in all bedrooms, cable outlets in all rooms, large laundry room & plumbing for a soft water system. Amazing value and a must see!